Matt Furie, the creator of Pepe the Frog, is continuing his copyright war against the alt-right by targeting Alex Jones’ Infowars in his latest lawsuit. 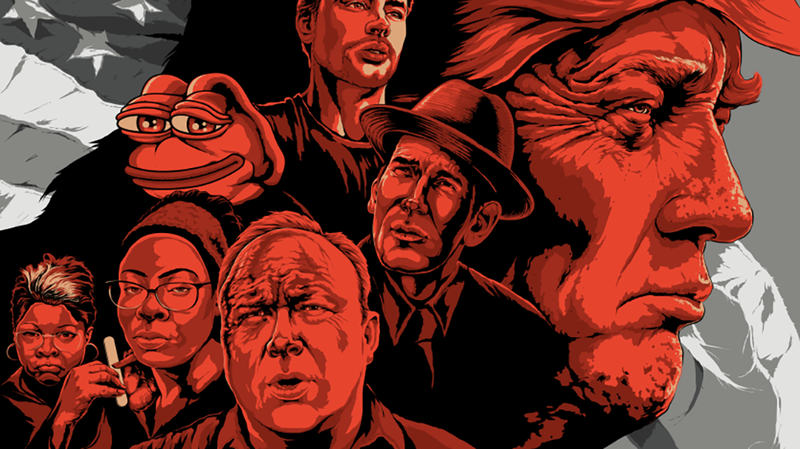 The purveyors of conspiracy theories have been selling a poster that incorporates the cartoon frog into a collage of with notable cartoon figures from the Infowars cast of characters. Furie first debuted the character of Pepe in his comic Boys Club in 2005. It caught on with the meme-makers in forums like 4Chan, and netizens remixed their own Pepes for years. But somewhere along the way, it became one of the primary symbols of racism for neo-Nazis and other members of the alt-right crowd. Eventually, the alt-right godhead himself, Donald Trump, tweeted a version of Pepe made in his own image. The Anti-Defamation League league officially designated the cartoon as a hate symbol in 2016 and joined forces with Furie to create the #SavePepe campaign, an effort to reclaim the frog from purveyors of hate. The lawsuit asks the court to grant a permanent injunction against Infowars from using Pepe in any further unauthorized ways, and it claims the “defendants conduct has caused plaintiff irreparable harm.” It seeks monetary compensation in the form of any profits made from the poster’s sale as well as statutory damages to be determined by the court. Jones said that a snowball effect has taken hold and inspired others to file “frivolous lawsuits” and he argued that Infowars’ use of Pepe is “protected speech,” because it is “transformative” of the original copyrighted work. Furie has insisted that Pepe is just a “chill frog-dude,” so we asked Infowars what new expression or meaning the company believes it is adding to that characterization. We’ll update this post when we receive a reply. There are arguments to be made that the alt-right is actually engaging in fair use, but these types of cases tend to come down to the individual opinions of the court due to the vague legal guidelines that are used. Furie has other outstanding cases still working through the legal system, but his first, against the author of an Islamophobic children’s book, ended with a settlement. The book was removed from shelves and all profits went to the Council on American-Islamic Relations.